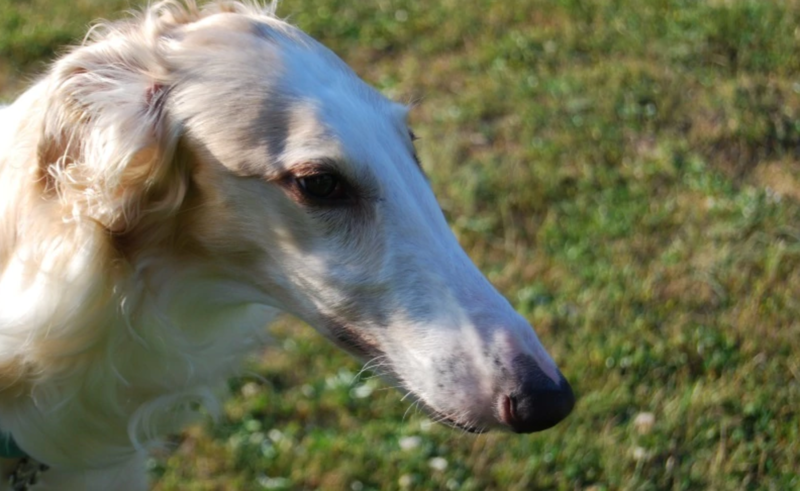 Roxy, a purebred Borzoi, was forfeited to the RSPCA in 2014 after her owner was convicted of animal cruelty for leaving the dog in a panel van on a hot day in late 2012. When found, Roxy was removed from the car by a ranger and driven to a vet. She was then transferred to the RSPCA in Malaga. According to The Sunday Times the prosecution action by an RSPCA inspector was the first of its kind in WA, despite 600 reports of dogs in hot cars received the previous summer. In May of 2016, after a drawn out legal battle, the Department of Agriculture and Food WA (which regulates the Animal Welfare Act) directed the RSPCA to return Roxy to her original owner. The RSPCA has refused, saying the dog is now in South Australia and should be allowed to stay there. The charity declined to say why the dog wasn’t put into foster care closer to home. On radio recently RSPCA WA chief David van Ooran told the ABC that a “suitable home for Roxy could have been found in Maddington, Port Hedland or South Australia”. “It just so happened there was a very good fit in South Australia, so she’s doing really well over there,” he said, adding that Roxy was a special needs dog with health issues. However, Roxy's owner - who fought for more than two years just to be able to have supervised visits with Roxy - alleges the dog’s health problems stemmed from poor care and injuries during her 3½ years at the RSPCA’s Malaga headquarters. Released publicly recently, are the veterinary records* from Roxy's stay with the RSPCA WA, obtained by her owner under FOI. Was treated for presumptive heatstroke. Recovered well. No entry was made as to her having a consult, recheck, or treatment with a vet the following day. Or even over the weekend. In fact, no consultation or treatment was recorded the following week either (wk ending 16/12/12). Or even the week after that (wk ending 23/12/12). Hard to believe, but there was no consults or treatments recorded for Roxy for the entire month of December. According to the vet records released under FOI to Roxy's owner, the dog didn't receive any recorded treatment until nearly a full two months after she entered the RSPCA's care - at the end of January 2013. And then, it seems this young dog's "good general health" had started to deteriorate. Then, three months after she entered care, it is recorded that Roxy needed a drip, because she wasn't eating and was continuing to lose weight. Hasn't been eating well, didn't eat this morning. R side of face wet with saliva, then vomited in yard. Seems to have a bilateral forelimb lameness at the trot. ASSESSMENT - clinical signs of mild dehydration with mild pyrexia, acute gastritis, bilateral forelimb lameness, R otis externa. PLAN drop to M fluids overnight. Recheck am. She was so sick in fact, that she stayed in the clinic over the weekend. Seems happier in the clinic, keep in over weekend. Still has head bob at trot, will need lameness workup next week. Been in kennels at vet all weekend. Lameness worse with confinement. Marked lameness left fore... seems unkeen to extend right hip as week. Been unkeen to let staff handle right ear again - on examination is slightly red but looks clean. Eardrum still inflamed and opaque though - very sore. Restart ear meds and nsaids should help with pain on ear too. Flushed ear with saline. Start Momentamax while awaiting results. Roxy was losing weight, and now had lameness in her legs. Her ear was painful and infected and this would flare up multiple times over her stay. So bad was her condition, that an email was sent from the Executive Manager of Animal Operations to RSPCA management. "Please could you advise if we are able to foster Roxy. She is becoming a serious welfare concern in the kennels as she is not eating and losing weight. She also has an right ear infection and intermittent lameness. Both are being treated by our vets. Roxy - a sighthound and a sensitive breed that is vulnerable to stress - is clearly not coping in a shelter environment. However, she would not be allowed to leave Malaga. In April, she had pain in her leg and went onto antibiotics. Left carpus quite swollen, very tender, running a slight temperature. Suture right to left prox carpus as well, very very tender and touchy to left fore. Rest please. Seroma on left fore carpus now bigger and looks as though about to fistulate, start on oral abs. To wipe with water if does ooze at all. Concern as a bit off food at times, loosing (sic) a little weight, ears quite erythematuous and 'warm'. Doesn't walk well on lead pulling to one side, there is muscle emaciation to the left fore - referral check up on orthopaedic re: surgical side rection to left apical carpal region. Appointment with referrals PVSEC, was kept in for radiographs. Scarring/fibrosis of the muscle near biceps tendon - to massage behind the elbow once a day to help reduce scarring. Concerns as not right. Noticed open pressure sore/wound to right isheal crest/protuberance. Clipped and cleaned, open wound approx 2cm x 1cm. Temperature normal, wound is actively oozing. Recleaned wound - still open but small, still swollen and oozing though. Hasn't eaten this morning. Wound and swelling has opened and drained itself today - good, saves us opening it up - cleaned out, looking a lot better, smaller than previously. Pressure sore over R ischium resolved. Ears looking good. Animal attendants noticed seems agitated, panting and pacing. Assessment: Pyrexia due to pain and/or inflamation. Possible trauma due to playing or OA. RecheckDoes bear weight less on left fore than R. Definite pain response to extension of elbow, crepitus felt in elbow joint. Reluctant to bear full weight on leg after palpatation. Very nervous in the clinic. HR 160. Appears due to stress today. Roxy had now been in care for a full year. But her struggle was not over yet. Ringworm present on KOH sample. L nostril bleeding this morning. Suspect trauma incident. After nearly a year and a half in kennels, Roxy is showing signs of disastrous behavioural changes including chewing and licking her own body. Noticed to have 'lump on foot'. Licking the foot. RF interdigital space has matting. Mild moist dermatitis likely from licking. Reason: ongoing concerns about her R fore skin - stained and obviously been licking. Gde 2/10 lame at slow lead walk. Increases to 4/10 at trot, marked head bob when LF wt bearing. Pain on pressure over point of elbow. Tender along palpatation of lumbar spine. Able to extend L hip to full extension but behaviour did not allow assessment of R hip after this. Skin and coat over digits again erythemic and moist from dog chewing. And poor Roxy only had one way to express her distress. Has become very reactive and turning to bite when hips stretched backwards. Can only extend about 50% before she pulls them away. Patient needs to be kept on Cartrophen and Gabapentin as she is extremely uncomfortable. Patient on Gabapentin for the last week, noticed a marked improvement in gait and demeanour. Patient brighter, more inclined to meet you at the door to cage where as before just lay on bedding and reluctant to stand, then when she did was very slow to rise. And then another injury, along with more behavioural deterioration. Roxy, the once happy dog, is now biting people. Staff reported dog is 'cranky' and has a couple of episodes of biting which is out of character. LEFT hind wound - approx 5cm. Open wound, full skin thickness. When out on a walk today, one of her back legs appeared to collapse from underneath her. Owner came to visit today, seems quiet in herself since then. Quiter in herself and seems painful. Lunged at animal attendant's face while grooming her today. AA's to be more cautious while handling her to ensure their safety. Roxy's life is now in real danger. A biting, lunging dog could be killed at any time for behaviour. She has now been in kennels for nearly three years. Add another injury. Animal attendant noticed that Roxy had a swollen, red paw yesterday. Unable to thoroughly examine mouth (muzzled). Surgical exploration found.... most likely grass seed. Diffuse soft tissue swelling now present over caudal aspect of hock... fluid oosing from... point of swelling. Most likely persistent grass seed foreign body tracking up to the soft tissue surrounding the hock. Suggest attempt repeat surgical exploration... then MRI if unsuccessful. 3cm long grass seed came out of wound on lateral aspect of hock yesterday while cleaning the area. And - almost unbelievably - another injury and yet more staples. Owner came to visit today and noticed she had a cut on her lateral right flank. 1cm diameter round crust of skin that lifted to reveal underlying muscle layer. Previous trauma of unknown cause. Estimate wound to have ooccured within the last 4-7 days. P - recheck wound tomorrow and consider stapling closed if minimally contaminated. Wound on R flank has healed well, removed all staples. The last vet entry was made on 12 Jan 2016 - three years after she was seized and after dozens of concerns about her welfare were raised by staff and her owner - Roxy was still at Malaga. According to her RSPCA records she had osteoarthritis, allergies, septic arthritis, ear infections, dental disease, pressure sores, traumatic wounds, grass seeds and ringworm. She continued to have episodes of lameness, pain and vomiting. And she was chewing her own feet, lashing out at shelter attendants and biting. In short, she was a very sick girl by the end of 2015, and as RSPCA WA chief David van Ooran confirmed in interviews at the end of 2016... "Roxy was a special needs dog with health issues" when she was shipped interstate to a new carer. This poor disturbed and struggling dog was transported interstate after a three years in care. However, can we believe that she was really moved? It is hard to believe the RSPCA just rushed Roxy to SA days after she was mandated to be returned, and after three years in care and that the RSPCA is now simply being obstinate in the face of a directive by their governing agency (the Department of Agriculture WA) to return the dog. Until verifiable confirmation is given that this dog has survived her disastrous, painful and dangerous time in 'care' with the RSPCA, I think it is logical to assume that - like Braveheart - she didn't. The RSPCA need to provide the gift-giving public that they did not ultimately fail this dog. Demand evidence that Roxy is still alive. *Some entries have been omitted. For the full records please visit the "Bring Roxy Home" facebook page.